When the water in a pipe freezes, it expands. This expansion can cause the pipe to burst. When that pipe thaws… things can get wet, and that’s where R&B comes in. We have 24 hour emergency service to stop that water fast. We also perform quick and effective repairs to burst pipes to minimize damage. 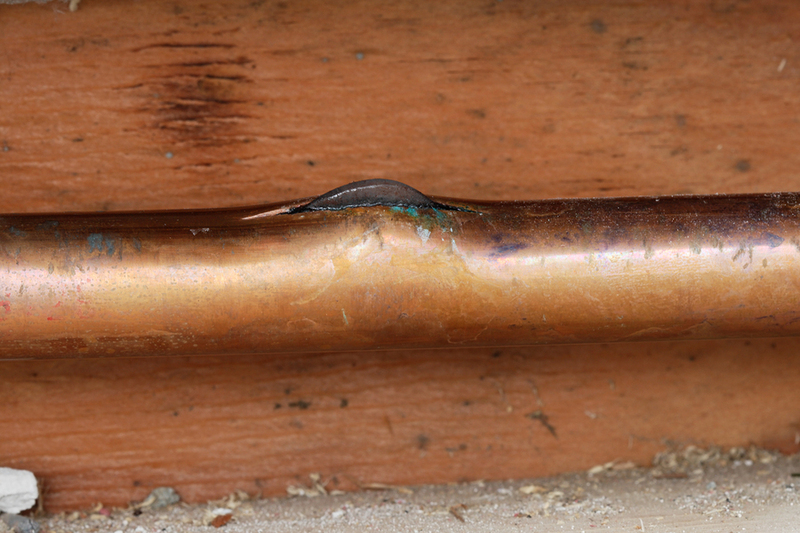 So what you can do if one of your pipes has frozen or burst? Start by turning the water off. Isolating the line with your shut-off valves is the next step. If you don’t have isolation valves, be sure to ask our technician to install them for you. There should be stops on every water line to every fixture. But the best defense? Prevention. Be proactive. Protect your pipes – insulate them, and resist the temptation to turn the heat off completely during times when you are away from home. That will protect you from those unexpected drops in temperature. Install frost free hose bibs and always disconnect your garden hoses in the fall. Lastly, always turn your water main off when you are away for extended periods of time. Stressing out about whether your pipes are prepared? Phone R&B today. We will get you ready for winter. I really appreciate the work you did in my bathroom.